If only the sixth inning of their first game could have been duplicated more often, the Philadelphia Catholic League contingent that represented last week’s girls’ softball Carpenter Cup Classic would have had more to celebrate. 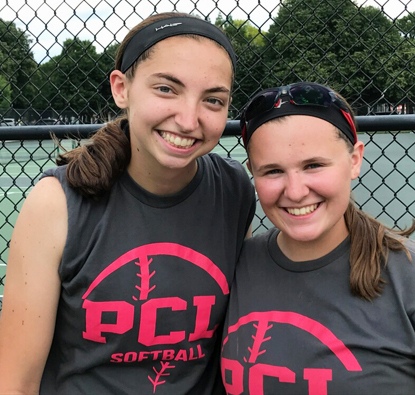 In the end, however, the PCL succumbed to better overall talent and dropped two straight decisions in the double-elimination tournament, now in its 14th year for softball. In an 8-6 loss to New Jersey’s Olympic Colonial on June 26, the PCL fell behind, 7-1, after two innings and then 8-1 after five. The PCL’s offense awakened with a five-run sixth inning that suddenly turned the laugher into a nail-biter. Among the PCL’s hitting standouts were Cardinal O’Hara junior Jenna Smith (2 for 2, 4 runs batted in), O’Hara junior Lexi Galli (2-3, run scored, RBI), St. Hubert junior Erin Hogan (two walks, two runs scored), Archbishop Carroll junior Erin Boyle (1 for 2, run scored, RBI), Archbishop Ryan junior Meghan Kidd (1-3, triple), Bonner-Prendergast junior Hayley Rugh (1-1), Lansdale Catholic junior Rebecca Tiley (1-1), Little Flower sophomore Ginny Britto (1-2), and O’Hara junior Julia Kush (single, run scored). But the comeback, though gallant, proved insufficient when the PCL was blanked in the seventh inning, making mute a fine pitching performance by Britto (3 innings, 4 hits, 1 unearned run, 1 walk, 1 strikeout). Now needing to run the table, the PCL played again two hours later. Against Delaware County West, a nightmare start in the form of a three-run top of the first inning once more put the Catholic Leaguers in a major hole. This time, their offense did not respond while DCW kept scoring, eventually securing an 8-0 shutout. Carpenter Cup juniors Rebecca Tiley (Lansdale Catholic) and Lexi Galli (Cardinal O’Hara). The PCL’s only base runners were Kidd (single and walk), Lansdale Catholic sophomore Mary Picozzi (single), and Hogan (walk). Competing in the Carpenter Cup, as is partly stated in its mission statement, was less about winning and more about showcasing talents and building unique camaraderie. According to Tiley, the mission was accomplished. Galli offered a shout-out to the adults who mentored the players. “I like having different coaches and seeing their different styles,” said Galli. 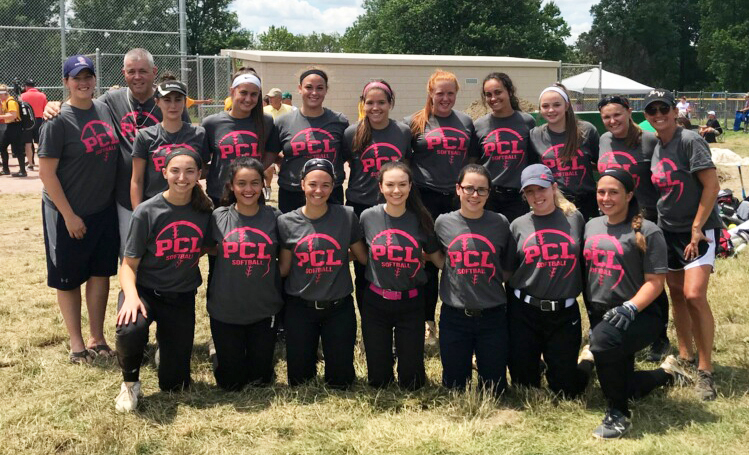 Ecker was pleased to hear that the PCL players provided a collective thumb’s up when asked if they enjoyed the Carpenter Cup experience despite its lack of success on the field. The other players on the PCL roster – comprised only of recent sophomores and juniors with a maximum of three players from each high school, per Carpenter Cup rules – included Carroll junior Katelyn Barker, John W. Hallahan junior Mia Viola, Hallahan sophomore Nina Rowan, Hallahan sophomore Sam Burns, and Ryan junior Ava Brakoniecki. Archbishop Wood sophomore Kylee Guerrera made the team but was unable to participate.